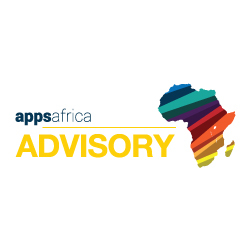 Appsafrica Innovation Awards 2015 applications are now closed and the finalists can be viewed now. Business models are being disrupted across the continent using technology and innovation. This award seeks to recognise the disruptive innovations and new business models that are changing Africa now. This award is open to all MNO’s, VAS providers, manufacturer’s, service providers, developers and entrepreneurs who have created innovative mobile services for African businesses or consumers. While smartphone penetration is increasing, the majority of African’s still use basic handsets. This award recognises mobile innovations that do not use mobile data and utilise either SMS, USSD, IVR or other non-data driven services. App development has exploded in Africa. This award recognises the best applications successfully launched on any platform to target African consumers or businesses. Africa is the birthplace of some of the world’s most innovative fintech solutions. This award recognises the best fintech innovation including digital currency, venture capital, mobile money, wallets, P2P, money remittances & transfers, point of sale or funding platforms. This award recognises innovations which are improving the health of Africans using mobile or other technologies. Delivering education has many challenges in Africa. This award recognises innovations which are striving to improve education by utilising mobile or other technologies. This award recognises an inspiring use of technology that has a positive social impact for an African community while contributing to economic and social development. Mobile Entertainment is now a burgeoning industry across Africa. This award seeks to recognise the best entertainment innovations. Examples include music, literary, gaming, children’s entertainment, lifestyle and video. This award seeks to recognise the women who are driving technology and innovation in Africa. This might include entrepreneurs, developers, executives, program managers or any women making a positive impact. Hi when is the deadline? In the form there is a field that says y* . Please what does the y stand for? Hi Dami, apologies, this question should appear fully now. There is no category for agribusiness innovation? Does your app have to be live or can you submit a concept? Hi, all innovations must have been launched in at least one African market to be eligible. Hi, what kind of video do you need? Hi Hazel, for applications you can add a video if you have one but not essential.